Hi Guys! I have amazing News! 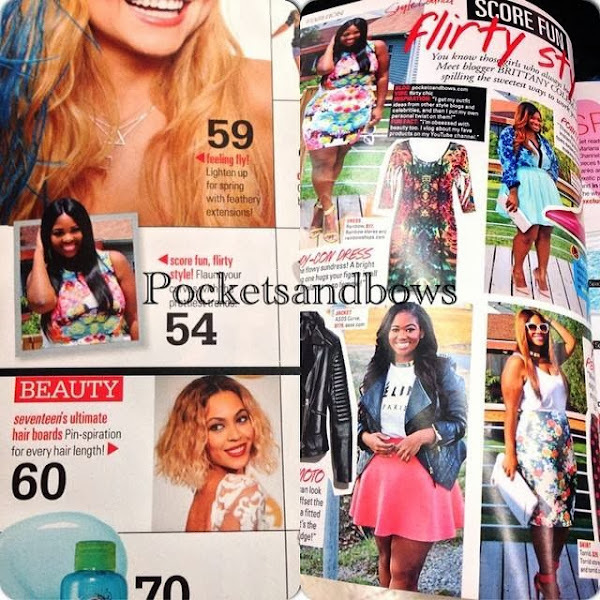 I am featured in the April issue of Seventeen Magazine! I remember as a teenager, dreaming of being a writer for this magazine and even majored in Communications with a minor in journalism to pursue that dream. I eventually refocused my major (thinking I needed a more realistic goal) to the corporate side of communications. With that said, I gave up the hope that I would be able to write for a major publication like Seventeen Magazine, but never in a million years did I imagine that there was a possibility of me being featured in the magazine, let alone having a whole page to my self! This blog has brought me many great opportunities to be thankful for and proud of but this one has to be one of the most exciting because I really feel like this is a full circle moment and it's all because of you guys continuing to support me and this blog! So Thank You!! Your support turned my unimaginable dream into a reality! I hope you guys will check me out on Pg. 54 of the April Issue and let me know what you think! I am also featured on Seventeen.com showing you how to transition your look into Spring with a printed Bomber! !